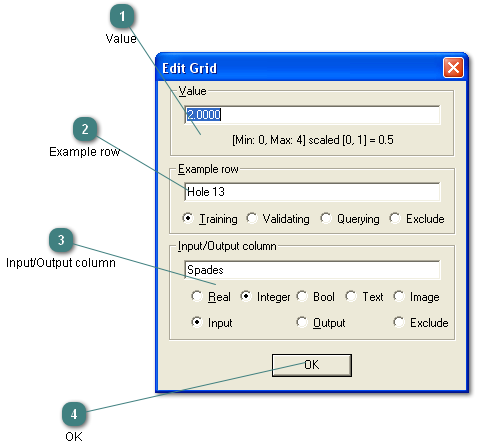 Enter the grid cell value. The value will be scaled to be from 0 to 1 using the column minimum and maximum. The value in the selected cell with column minimum, maximum and the scaled value. Enter the example row name and set the type of row. Enter the column name. Set the column type and mode. Click to complete the edit and close the dialog.